Cask strength (also known as barrel proof) is a term used in whisky-making to describe the level of alcohol-by-volume (abv) strength that is used for a whisky during its storage in a cask for maturation – typically in the range of 60–65% abv. Most bottled whisky is diluted with water to bring its strength (i.e., its abv level) down to a level that makes it less expensive to produce and more palatable to most consumers, usually about 40% abv – a level that is the statutory maximum in some countries, and the statutory minimum in others. The degree of dilution is said to bring out different flavours of the whisky, which can affect the decisions of the producers regarding the concentration they select for the bottling of their various brands. While the vast majority of whisky bottled by distillers is watered down to about 40% abv, some whiskies are bottled at cask strength. Thus, these whiskies are usually produced for the upper premium market category, as cask strength whisky is more expensive to produce and less palatable to casual consumers than diluted whisky. Such whiskies are usually older as well, as the whisky develops flavors coming from the long marriage of cask and liquor, to the extent that substantial aging is demanded by the more sophisticated premium-market consumers. 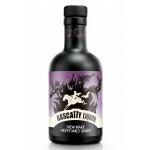 Sometimes bottlers dilute even cask strength bottling, but to a lesser degree, such as to 60% abv. This avoids the need to reprint the labels – which, in some jurisdictions such as the EU, must state the exact alcohol level – due to different barrels containing whisky at different strengths. 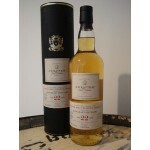 The A.D. Rattray Ardmore 21 years old 1996 is an older peated Highlands single malt bottled by th.. 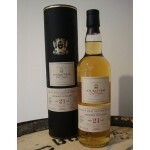 The A.D. Rattray Glen Grant 22 years old 1995 is an older Speyside single malt bottled by the ind.. 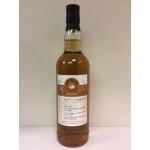 The A.D. Rattray Individual Cask Bottling Arran 5 years old 2010 is a young Isle of Arran single .. 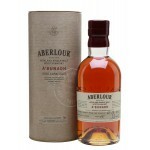 The Aberlour A'Bunadh Batch 50 is just like the former A'Bunadh releases a heavily sherried cask .. The Aberlour A’Bunadh Batch 56 is just like the previous batches a heavily sherried Speyside sing.. The Aberlour A’Bunadh Batch 57 is just like the previous batches a heavily sherried Speyside sing.. The Aberlour A’Bunadh Batch 59 is just like the previous batches a heavily sherried Speyside sing.. The Aberlour A’Bunadh Batch 60 is just like the previous batches a heavily sherried Speyside sing.. 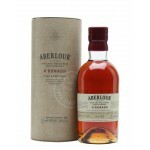 The Aberlour A’Bunadh Batch 62 is just like the previous batches a heavily sherried Speyside sing.. The Adelphi Breath of Speyside 11 years old 2006 is a Speyside single malt from an undisclosed di.. 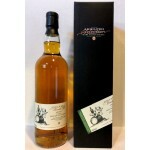 The Adelphi Breath of the Isles 11 years old 2007 is an Isle of Skye (undisclosed Talisker) singl.. The Adelphi Nightcap Batch 7 is the seventh set with 4 x 10cl Nightcap bottlings from a Adelphi. .. The Adelphi Selection Glenturret 10 years old 20015 is a Highlands single malt bottled by the ind.. The Adelphi The E&K is a release in the Fusion Whisky series by Adelphi and the successor of .. The Adelphi The Winter Queen is the latest release by Adelphi and Fusion Whisky. It’s the success.. This 17 years old Speyside from 1997 is one of the releases in the Air Leth series. Air Leth is t.. 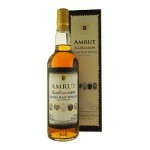 The Amrut Kadhambam is an Indian single malt matured in rum, brandy and cognac casks. This is bat.. 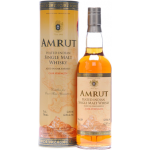 The Amrut Peated Cask Strength is a peated Indian single malt whisky. Made from peated Scottish b..
Rascally Liquor is the new make (fresh) spirit from the Annandale Distillery. It is available wit..